Dr. Charles Murray's 2012 book, Coming Apart, is perceived today as prophetic in describing the societal conditions in which populist political movements could become successful in America. But almost 25 years ago, in the book he calls his favorite, In Pursuit of Happiness and Good Government, Murray outlines the conditions under which self-governing citizens can interact best with a limited, yet energetic, government. In this wide-ranging talk, Murray will explore whether happiness-rightly understood-can be achieved in a nation that is fracturing along class lines. Join the School of Public Policy on Tuesday, March 13, 2018, at 6:30 PM in the Wilburn Auditorium for the annual Patricia Tagliaferri Dean's Distinguished Lecture Series. 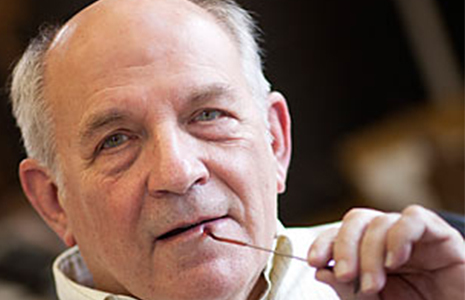 Charles Murray is the W. H. Brady Scholar at the American Enterprise Institute. A political scientist, author, and libertarian, he first came to national attention in 1984 with the publication of Losing Ground, which has been credited as the intellectual foundation for the Welfare Reform Act of 1996. His 1994 New York Times bestseller The Bell Curve, coauthored with the late Richard J. Herrnstein, sparked heated controversy for its analysis of the role of IQ in shaping America's class structure. Murray's most recent book, By the People: Rebuilding Liberty Without Permission, urges Americans to stem governmental overreach and use America's unique civil society to put government back in its place. Please join us for a reception in the Executive Dining Room following the lecture.